What's at the root of all the bickering in Wabana? Around town, it all depends on whom you ask, reports Ryan Cooke. Henry Crane wanted to accomplish a lot of things when he ran for town council in Wabana. Turning citizens against each other over a political divide was never one of them. But there he stands, in his first term as a town councillor, on one side of a council kneecapped by infighting between two rival factions. Not usually one to give interviews, Crane has a habit of posing his own questions before giving answers. "What's at the root? If you're talking to me or talking to somebody else, you're going to get a difference of opinion from different people." Depending on who you ask, Crane is either a dedicated volunteer willing to do whatever it takes to better his community, or the architect behind a group of crony councillors constructing Gary Gosine's demise after 24 years as mayor. If you ask Crane himself, he'll say he is a man trying to keep things on track. "Gary, our mayor, has been there a long, long time. Is he the root of the problem? I don't know if he is, or if he isn't. But there's no co-operation. There's an animosity there that's between the council and the mayor." It's been a month since council voted 4-2 to rein in Gosine, ordering him to get their approval and supervision before doing any mayoral business. He had to return his cellphone and give up his office at the town building. Gosine told CBC News it was an attempt to take power from his hands. Weeks later, he's still shocked by what transpired when Deputy Mayor Bill Peddle sprang the surprise motion. "I should not have let the acting deputy mayor speak that night because he was out of order. I did allow him. But I was shocked," he said. "They stripped me of everything." Gosine has returned his phone, which the councillors said he was using for his trucking business. He will also return his mayoral chain, which they said he was not allowed to bring home from the town office. "But I'm not doing much else," Gosine said. Like most things on Bell Island, the meaning behind the motion depends on who you ask. "We've been accused of stripping the mayor of his powers," Crane said. "Under the Municipalities Act, the mayor acts under the direction of council. That's all we're saying. We want you to act under our direction. Tell us what's going on. A lot of times, we don't know what's going on, and that's frustrating." 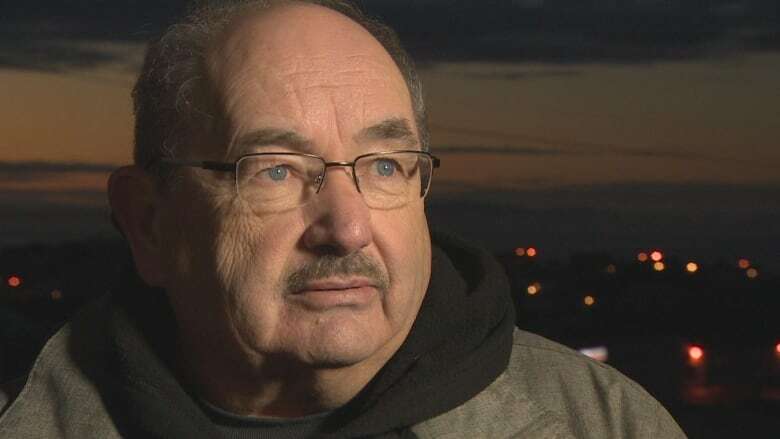 Gosine believes the beef with Crane began after a report was released on failed mediation attempts between Tourism Bell Island and Radio Bell Island. 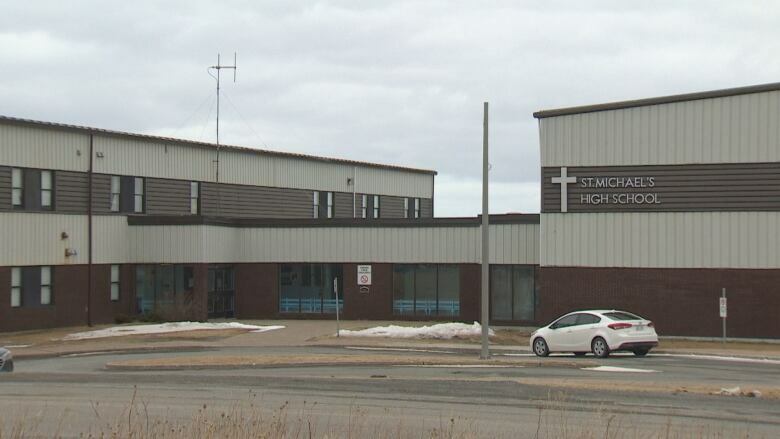 The radio station existed inside St. Michael's Regional High School and began making big profits from a local bingo game. It was controlled by a three-way partnership between the school, the station and Tourism Bell Island, the last of which was chaired by Henry Crane. A power struggle that ensued was well documented. 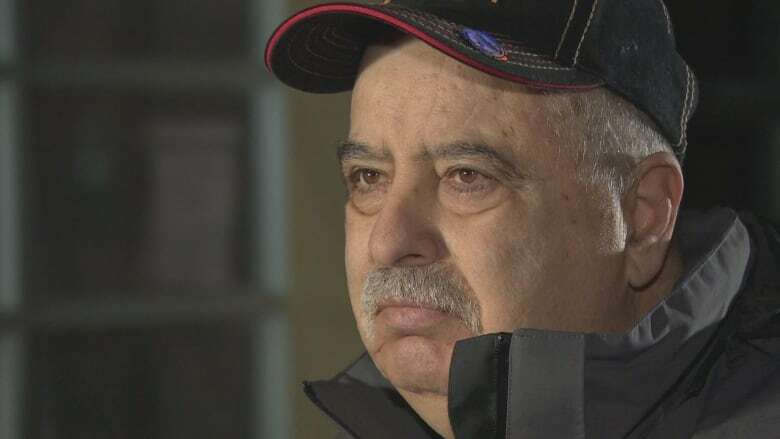 The station manager quit, accusing Crane and his Tourism Bell Island friends of trying to bully the station out of the school and shift the split of profits in their favour. 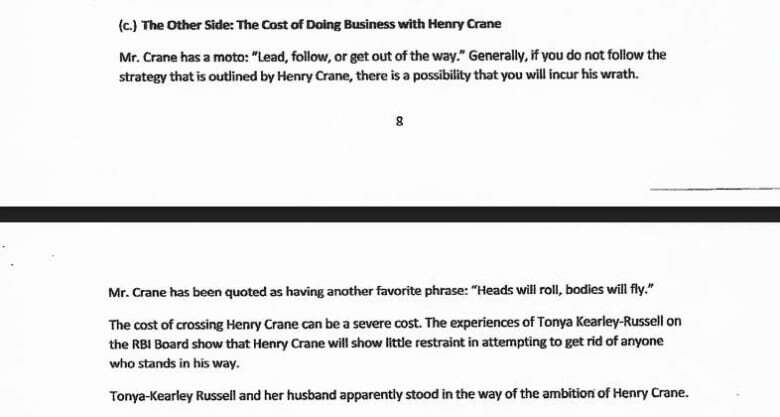 The mediator's report, completed by retired provincial court judge Robert Smith, was not kind to Crane — one section was titled "The Cost of Doing Business With Henry Crane." It was released to members of the town council, for their eyes only, but it wasn't long before a heavily redacted version was released to the public and media. Gosine believes Crane holds a grudge over how the report was handled. An unredacted version of the report is now making the rounds on the island again through social media, showing the names and detailed complaints of those who spoke out against Crane during the mediation process. "It is a personal attack and it was a personal attack from Day 1," Crane said of the report and its release. "Just because you don't like me? Well, post what you want. It's irrelevant to me." After the motion passed and the monthly council meeting came to a close, Gosine said he noticed Peddle waiting at the back of the room as everybody else left. "He was still waiting by the door and I'm saying to myself, 'What's up?' And I get these two words when I passed him and he started pointing at me: 'Payback.'" Before he was deputy mayor, Peddle was a tax collector for the Town of Wabana. He stormed a public meeting in 2014, making conflict of interest allegations against Gosine. After he left the building, another councillor put forward a motion to terminate Peddle's job. He learned of his firing through a tweet by a CBC reporter. CBC has made several attempts to reach Peddle since December. 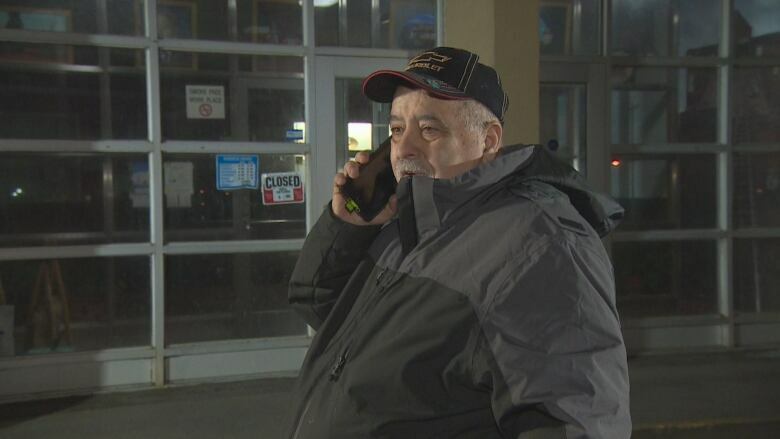 Finally reached by phone late last week, he became agitated and said he would never speak to a CBC reporter again. On Thursday, council will hold its first public meeting of 2019, and the first since the motion against Gosine on Dec. 13. Both Crane and Gosine said they'll do their part to be civil, despite their disagreements. How much they really disagree on — again — depends on who you ask. In separate interviews, both men happened to cite the same reasons for why they want to be on Wabana's council — improving things like the water supply and garbage collection, and bringing business back to Bell Island. But when they come together in council chambers, nothing is accomplished. "I'm not interested in going up to a meeting once a month and for a battle royal," Crane said. "It is quite a distraction and it is annoying to sit down, give three or four hours of your time sometimes, and accomplish nothing." Gosine said the island is divided, but believes most people back him in his fight against council. He is not a healthy man. After three heart attacks and three strokes, he said this fight could be his last as mayor. "I want to be able to go out on a nice note," he said. "I tell ya, I could flip … but I'm taking the high road. I'm trying to be orderly, I'm trying to be mannerly, I'm trying to be respectful." Crane said the council will be united — whether Gosine plays ball, or they have to continue using motions to shape his behaviour. He would prefer the former, but has shown he's not above the latter. "If the mayor were to follow the rules, his heart is there, too," Crane said. "Everybody's gotta back up and use common sense. This community was once great and it will be great again."